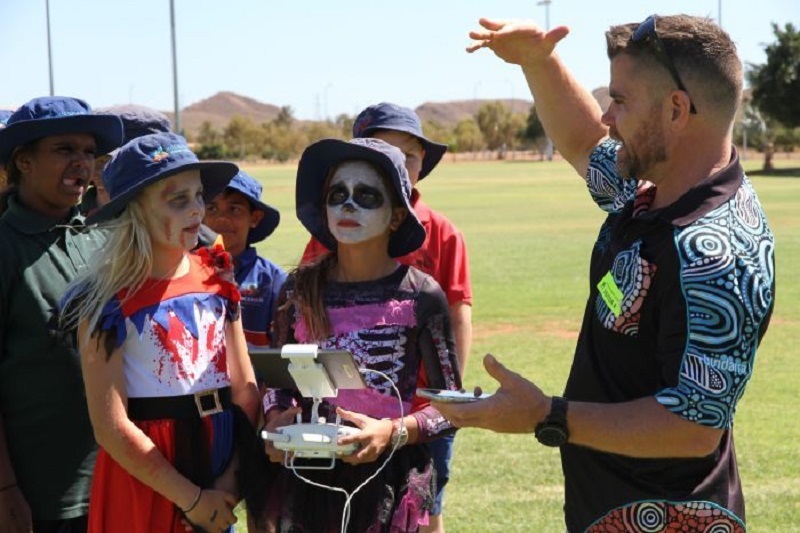 According to a recent report, the children in the remote Pilbara towns of Roebourne and Wickham are learning to fly drones, program robots and use virtual reality. The Indigenous Digital Excellence program is a way of engaging kids who were not engaged in mainstream education. The latest, new and emerging technologies are taken to out to the sites around the country. A strong cultural element is there when teaching the kids. With the use of drones, the kids get a bird’s eye view of the world. This tells them digital stories about the vast landscape of the country that they call home. The drones were teaching the kids how to care for their country and have pride in it. Drones provide a whole new manner of how the sites are mapped and monitored across the country. Moreover, the kids are given the opportunity to program robots as well as ride the rollercoaster of virtual reality. The aim of the Indigenous trainers visiting Roebourne and Wickham is to light the fire of passion for technology in them and give them future career options in the modern world by showing the technology to the children. It is all about new experiences. Hopefully, the kids will use the technology someday to re-tell the ancient Indigenous stories in the digital world. The team has been to 20 sites across the country. They went to Arnhem Land, Elcho Island, up to Cape York, all the way down the east coast, down to Robinvale in Victoria, Murray Bridge in South Australia and then to the Pilbara. The initiative is all about allowing the kids to get hands-on with technology, have one-on-one training and at the same time understand and have fun with it. The kids love holding an iPad and chasing around a robot. Virtual Reality (VR) is seen as a new way to share experiences of the country across the different groups of First Nations people. Further plans include taking the drones out on the country, film the content and create platforms on VR. This would help a kid in Roebourne see and experience what it is like in Redfern, Cape York or Arnhem Land and vice-versa. If the kids learn Dreamtime stories from the elders, they could potentially make a platform on virtual reality where they re-tell that story in a very new and engaging way. The team finds meeting people in communities, who wanted change in educational outcomes, very rewarding. The greatest feeling is when the kids have a lightbulb moment and understand what is being shown to them. It would come to them all of a sudden. They get it and that is what encourages the trainers to come to work every day.